Spanky’s Shenanigans in Leesburg will host an afternoon of music for a good cause on Saturday. The fourth annual Cancer Can Rock Deck Party will be held from noon to 5 p.m. May 14. Legendary DJ Cerphe Colwell and producer Jim Ebert will lead the festivities, which will feature performances by artists from Leesburg’s HalfKing studio, including Todd Wright, Cal Everett, Taylor Carson, Tommy Gann, Mark Williams, Patrick Thornton, Johnny Kasun and Teddy Chipouras. It’s a deck party, but if May’s rainy weather persists the show will move to the indoor stage in Spanky’s non-smoking section. A donation of $10 per person is requested and 10 percent of sales during the day will be donated to the Cancer Can Rock program. 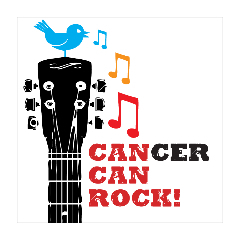 Cancer Can Rock was created to give musicians diagnosed with aggressive cancer an opportunity to record their music using the region’s best producers, studio musicians and facilities, allowing their musical legacies to endure. Find out more at cancercanrock.org.